If you’re looking for a unique getaway this season, take the plunge with one of these truly special floating cabins. 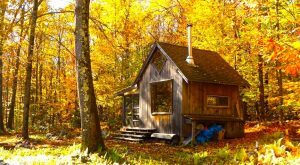 As cozy as a log cabin and as fun as a yacht, these floating cabins and houseboats are so comfortable that you could be forgiven for forgetting you’re not actually on dry land. 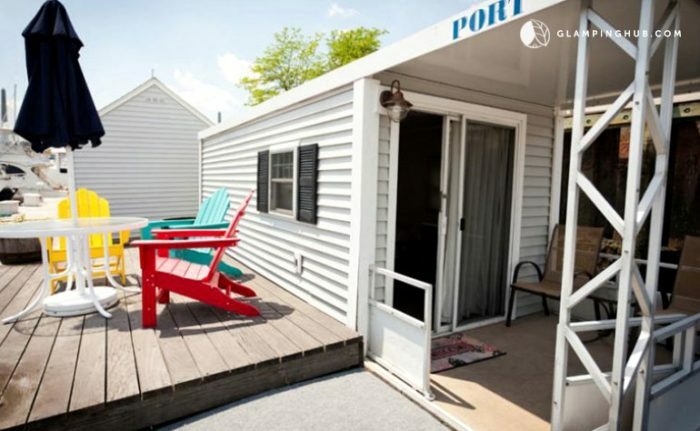 Moored in the historic Charlestown Marina, this houseboat is the perfect home base from which to explore the city. 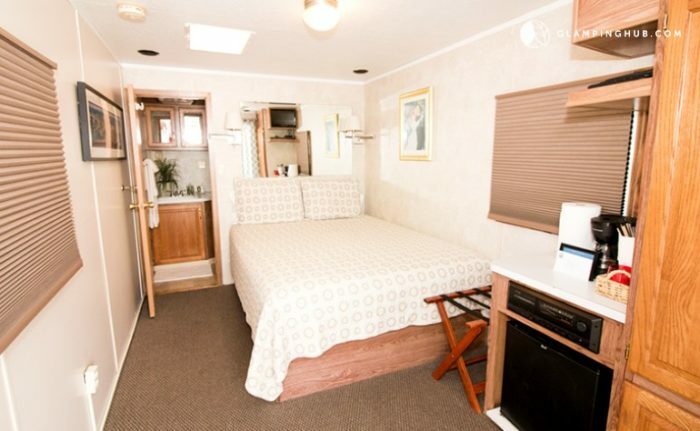 It has a four-guest capacity and a queen-size bed with luxury linens and plush pillows. 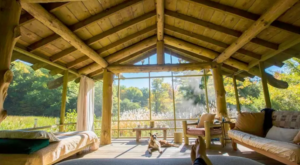 You’ll also find carpeted floors, a tea and coffee station, a flat screen television and an ensuite bathroom with a shower, toilet, and fresh towels. 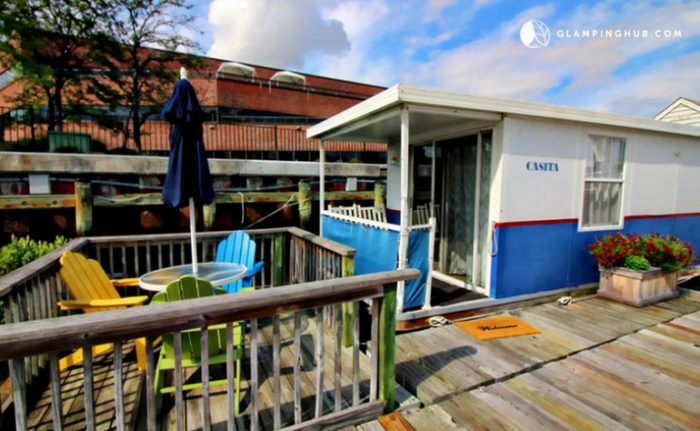 Head out to the private deck to take in the sea breeze and lounge in brightly colored Adirondack chairs. It’s the perfect place to start the day with a fresh cup of coffee or end it with a glass of something bubbly. This floating cabin starts at $230 per night. Click here to book. 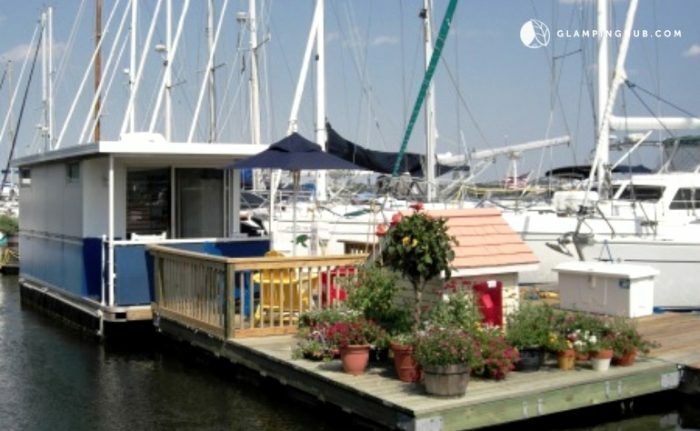 If you and someone special are looking to experience something a bit different during your next vacation, consider checking into this unique floating cabin in the Charlestown Marina. 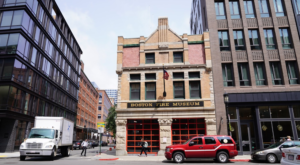 The cozy layout is perfectly suited to couples, but that doesn’t mean this place is cramped. On the contrary, you’ll be able to enjoy an ensuite bathroom with a shower and tub, a kitchenette with breakfast included, and a private deck. There’s also a fridge, hairdryer and air conditioning for those warm summer days. 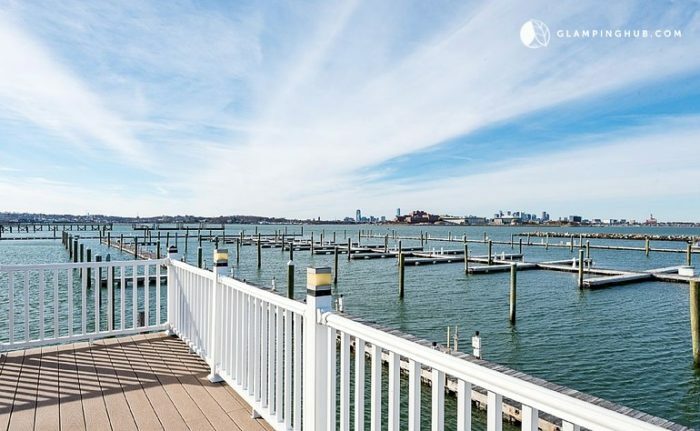 Sink into one of the Adirondack chairs and take in the beautiful Boston skyline or wave to passing ships. 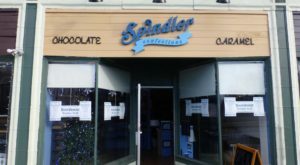 Just outside the main door, there’s a second porch with an awning so you’ll always have a place to relax regardless of the weather. 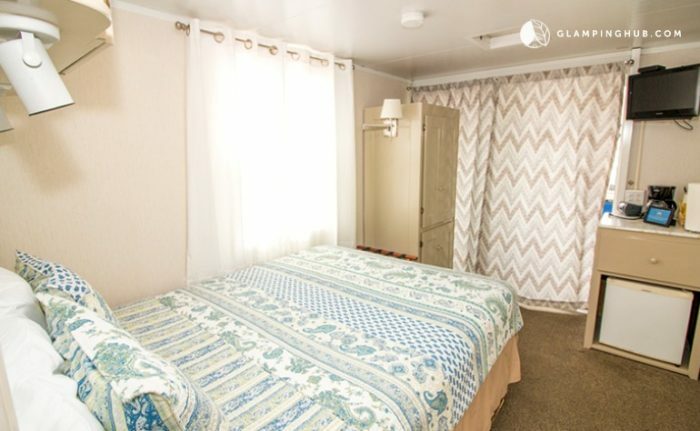 This spot starts at $230 per night. Click here to book. 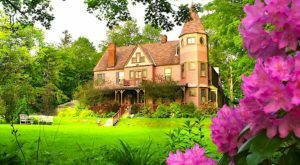 For those who aren’t looking to compromise, there is this luxurious spot that’s more mansion than cabin. 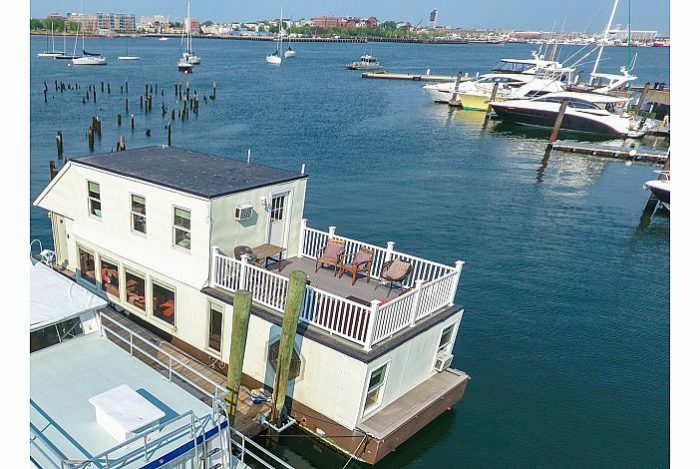 Moored in Boston Harbor, this incredible two-bedroom houseboat can accommodate up to five guests in style. 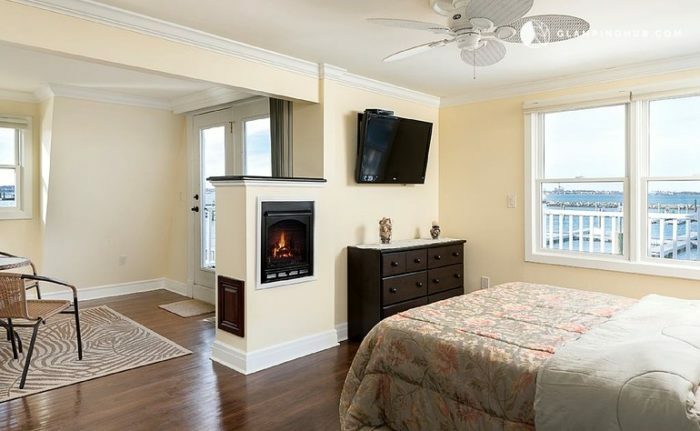 The master bedroom has an ensuite bathroom with a Jacuzzi tub, not to mention a fireplace and spectacular views. Head downstairs and cook up something special in a kitchen that comes complete with granite counters and stainless steel appliances. When you’re done exploring for he day, kick back in the grand living room by the fireplace, or head out to the balcony area to relax and soak up the beautiful harbor views. 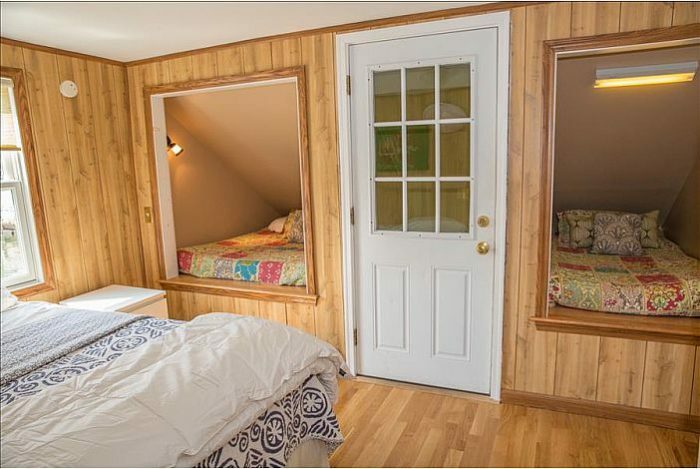 This amazing spot starts at just $300 per night. Click here to book. 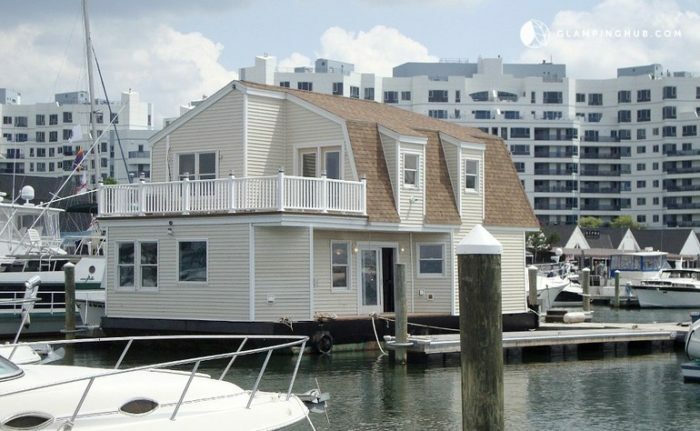 This one-of-a-kind floating cabin sleeps up to 10 guests, which makes it perfect for large families or groups of friends looking for an epic getaway. 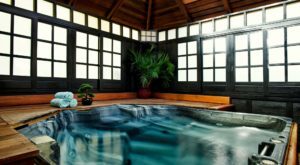 The handcrafted vessel features beautiful wood-paneled walls and exposed beams, not to mention hardwood floors. 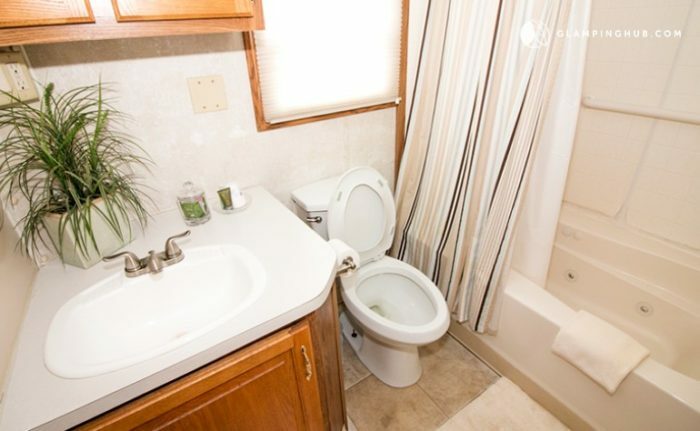 In terms of amenities, this place has everything you could want. With three bedrooms, a main salon with a sleeper sofa and flat screen television, and two bathrooms with showers, no one will feel crowded. 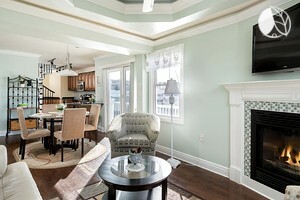 There’s also an outside deck with lounge furniture, an electric grill and stellar views of the city skyline. This place is also fully heated and air-conditioned, and includes free coffee, WiFi and toiletries. 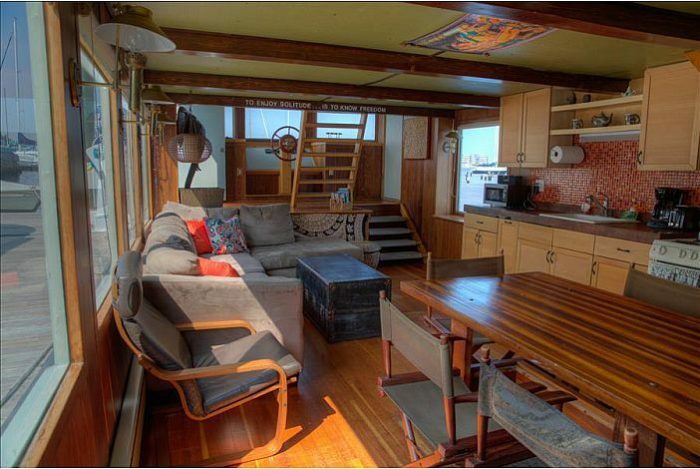 This houseboat starts at $319 per night. Click here to book. Would you ever stay in a floating cabin? 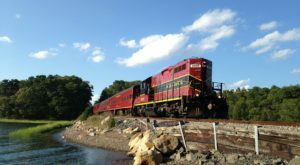 For more of the most unique places to stay in Massachusetts, check out some of our favorites here.